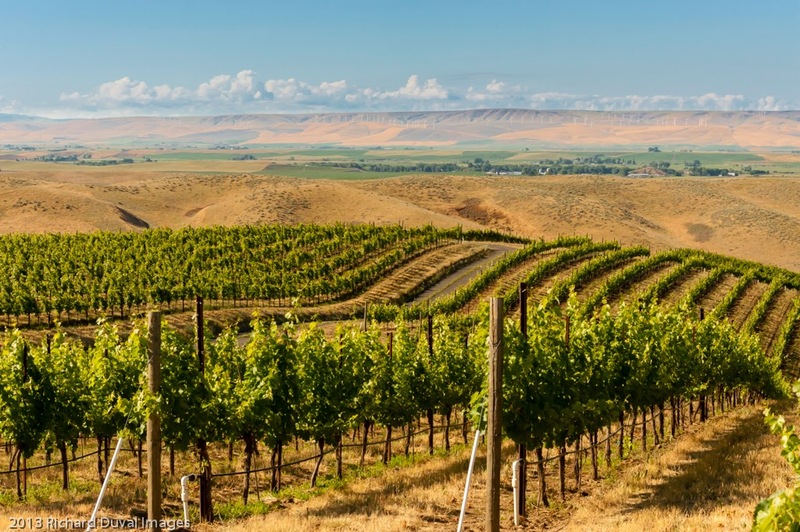 This report on the Walla Walla Valley includes wines from Cayuse Vineyards, No Girls, Abeja, Woodward Canyon, Delmas, and Maison Bleue. The Walla Walla Valley marked its 30th anniversary as a federally approved wine growing region earlier this year. 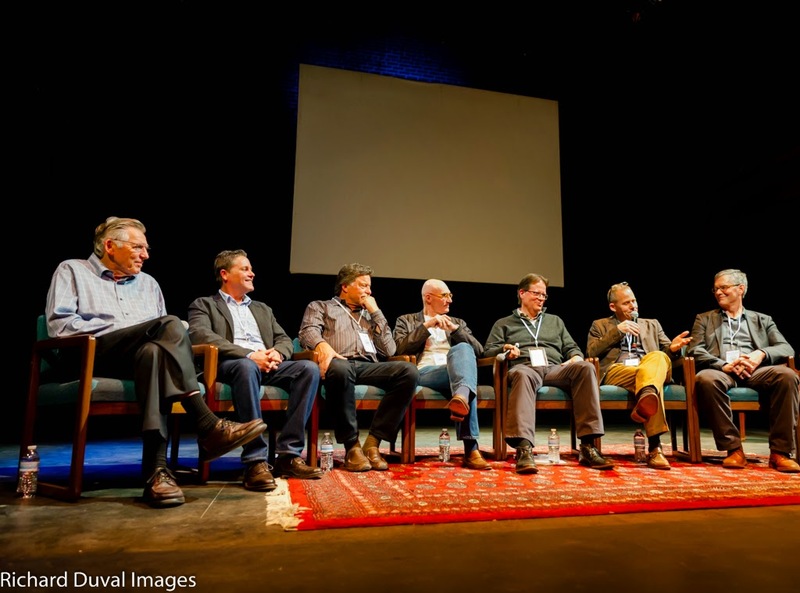 At a celebratory event over the summer, numerous valley founders assembled on stage in downtown Walla Walla, including Gary Figgins (Leonetti), Rick Small (Woodward Canyon), Marty Clubb (L’Ecole No 41), Eric Rindal (founder, Waterbrook), Casey McClellan (Seven Hills Winery), and Norm McKibben (Seven Hills Vineyard, SeVein, Les Collines Vineyard, Amavi, Pepper Bridge). It’s hard to overstate just how far the valley has come since Figgins planted the first modern day vinifera vines at the family homestead in 1974. 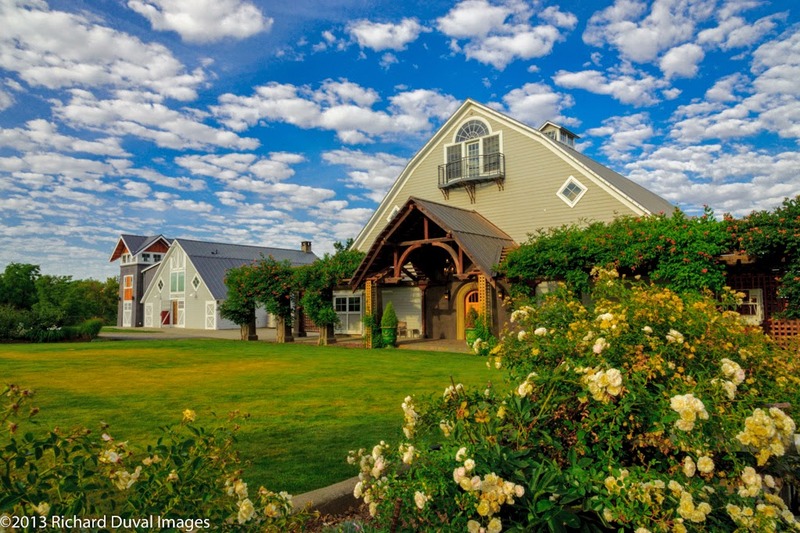 At the time the Walla Walla Valley received federal approval ten years later, there were just four wineries in the area. Today that number stands at over 120. In 1984, the valley had only 60 acres of wine grape vines planted. Today there are over 2,000 acres planted, and that number looks to rise dramatically in the coming years. 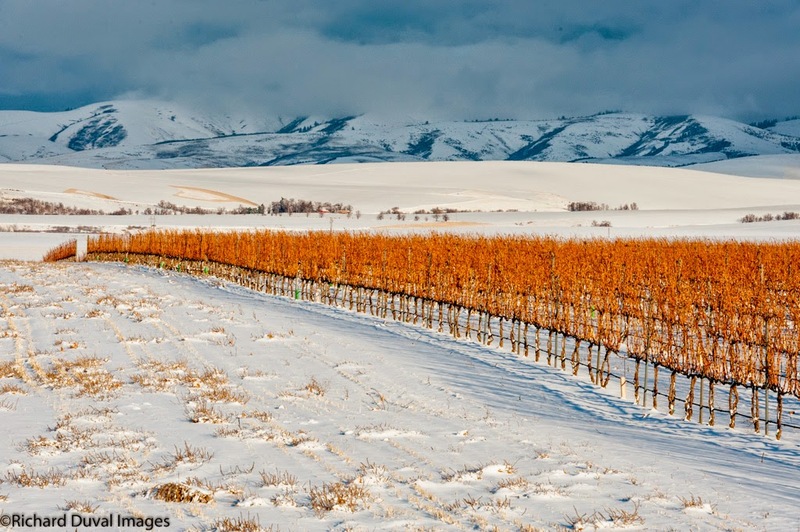 It would be easy to say that the Walla Walla Valley’s success as a winegrowing region was pre-ordained. In fact, it was far from it. Small agreed. “The great thing about ignorance is you don’t know what you don’t know and you don’t care because you don’t know any better,” he said. Eric Rindal also jumped in head first after working a harvest at L'Ecole. "I got the bright idea after working one crush and not knowing anything that we would start a winery," Rindal said. When Marty Clubb of L’Ecole No 41 moved to the Walla Walla Valley in 1988 to work at his family’s winery, he quickly found himself in charge. After his first harvest, his wife's parents and winery founders Baker and Jean Ferguson moved out of the winery. As always, there is much going on at Cayuse Vineyards with the winery completing a new building dubbed ‘Studio 3’ this past fall. The concrete structure, which is adjacent to its existing facility (it was almost impossible not to write ‘a stone’s throw’ there) includes 6,000 feet of production space as well as underground storage capacity. “It’s always a challenge of what we can do to make the wines better,” said Christophe Baron of the changes at the winery. 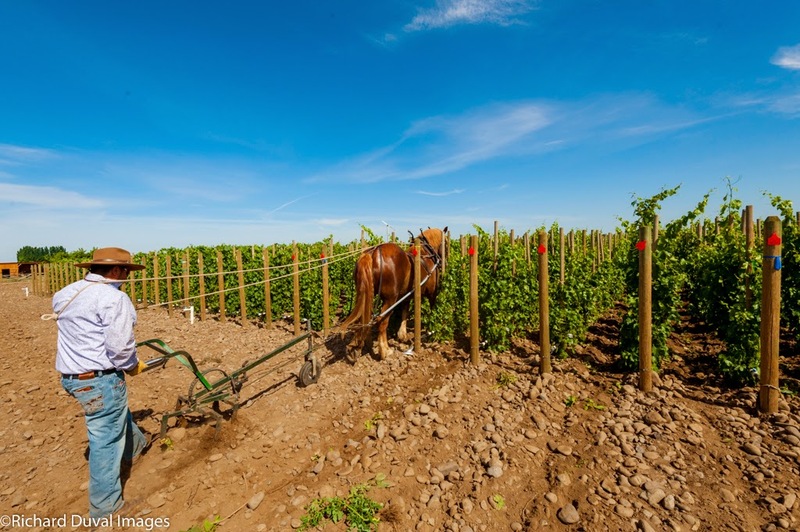 Baron also recently launched Horsepower Vineyards, a project focusing on a new set of vineyards where the land is plowed by draft horse. On this visit, in addition to tasting through the 2010 vintage releases, I had the opportunity to taste several older Cayuse wines, including the 2000 Cailloux Vineyard Syrah. 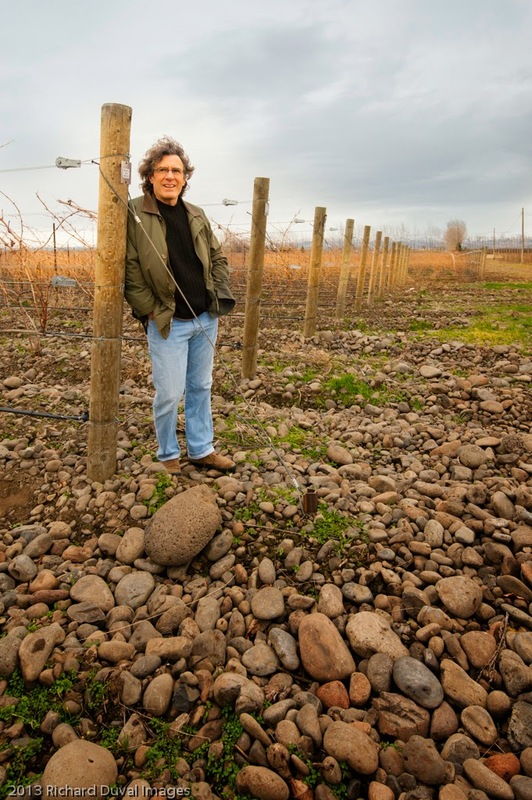 Some question how well wines from The Rocks will hold up over time given their higher pHs compared to wines from other areas of the Northwest. This wine, a full fifteen years old and from fourth leaf fruit, would seem to answer those questions, as it’s still drinking beautifully and is in an absolute sweet spot. In terms of the 2010 vintage wines reviewed below, this was, as many will recall, Washington’s coolest vintage since 1999. While the vintage was challenging for many winemakers, it also produced some extraordinary wines and Cayuse is no exception. In a stellar lineup, the 2010 En Chamberlain Vineyard Syrah, Bionic Frog Syrah, and Cailloux Vineyard Syrah were particular highlights. While Cayuse Vineyards (and now the No Girls project) have come a long way since Baron planted his first vineyard in The Rocks in 1997, he takes the longer view. “We are just in our infancy stage,” Baron said. (Excellent/Exceptional) A full fifteen years old, this wine – which comes from fourth leaf fruit – appropriately shows some age with tertiary notes of leather and spice along with raw meat and a salty brine. The palate is supple in feel, with fruit and mineral flavors playing beautifully off of each other. In a very pretty spot right now. Drink. 14.5% alcohol. (Exceptional) This is an expressive wine with notes of tapenade, cherry, mineral, and spice showing a pleasing mixture of secondary and tertiary notes. The palate is a beautiful mixture of fruit and savory flavors with a supple, soft feel. Still seeming quite youthful. Drink or hold. 70% Merlot, 30% Cabernet Franc. 14.2% alcohol. (Exceptional) A perfumed wine in full bloom with notes of flowers, tar, burnt embers, peat, smoked meat, truffle, sea salt, olive, and umami, showing great complexity with a seemingly endless list of aromatic descriptors. It displays incredible texture but also shows lightness, intensity, depth, and length. A heart stopper that hits every single high note. 100% Syrah. 144 magnums produced. Bottle number 89/144. (Exceptional) A vibrant, intensely aromatic wine with notes of smoke, bacon fat, raw meat, ash, orange peel, and fire pit. It displays an outrageous inner mouth perfume with great depth and texture with fruit and savory flavors that persist on the long, mineral filled finish. Pushes high into the top levels of quality. While almost completely irresistible now, this wine is still nowhere near its peak. Hold. 14.9% alcohol. (Exceptional) This is an aromatically brooding wine with notes of coffee, exotic spices, and papaya. The palate is seamless with fruit, mineral, and savory flavors with great length and beautifully integrated tannins. Still quite youthful. Hold. (Excellent/Exceptional) A perfumed wine with abundant notes of peach and mineral. The palate is sultry and mineral laden with a light, textured feel. 100% Viognier. 59 cases produced. (Excellent) Very pale in color, almost looking like a white wine. It brings abundant aromas of mineral and oyster shell. The palate is supple and restrained, showing abundant minerality with the enjoyment as much about feel as flavor. 100% Grenache. 12.5% alcohol. 136 cases produced. (Exceptional) A perfumed wine with opulent aromas of floral notes, peat, mineral, crushed rock, and olive brine. It’s full of savory flavors simultaneously showing intensity, delicacy, and restraint. 100% Grenache. 14.4% alcohol. 236 cases produced. (Exceptional) This is initially an aromatically brooding wine with notes of smoked meat, mineral, peppery spices, and flowers. The palate has great richness, depth and texture along with extraordinary length. Give additional time in the cellar or a long decant. 100% Syrah. 14.8% alcohol. 199 cases produced. (Exceptional) A perfumed wine full of floral notes, peat, crushed strawberries, olive brine, and smoked meat. The palate is packed to the brim with textured savory flavors, showing both an ethereal lightness as well as intensity. 100% Grenache. 14.4% alcohol. 491 cases produced. (Exceptional) This wine brings pungent floral notes, high toned herbs, and dusty earth. The palate shows a surprisingly amount of fruit flavors for a Rocks wine with good depth and concentration and exceptional length. 50% Cabernet Franc, 37% Merlot, and 13% Cabernet Sauvignon. 14.6% alcohol. 187 cases produced. (Excellent/Exceptional) Dark in color with notes of elderberry, high toned herbs, blackberry, smoke, and peppery spice. The palate has chewy tannins with persistent, focused fruit and savory flavors that linger on the finish. 80% Cabernet Sauvignon, 20% Merlot. 14.6% alcohol. 329 cases produced. (Excellent/Exceptional) An aromatically locked up wine with notes of blackberry, rhubarb, and peppery spices. The palate shows more fruit than is often seen on the winery’s offerings backed by fine grained tannins. Stick it in the cellar or give it a long decant. 84% Cabernet Sauvignon, 16% Syrah. 14.3% alcohol. 176 cases produced. (Exceptional) An aromatically brooding wine with notes of high toned mortared herbs, cherry, blackberry, olive, and mineral. The palate shows a lot of elegance with a supple feel with dried flower flavors, soft, sultry tannins, and exquisite length. A classic example of Rocks Cabernet Sauvignon. 100% Cabernet Sauvignon. 244 cases produced. (Exceptional) An aromatically distinctive wine with abundant notes of black pepper, mineral, olive, dried herbs, and crushed stone. The palate is outrageously flavorful with shimmering intensity, grabbing hold of you and simply refusing to let go. 100% Syrah. 14.8% alcohol. 730 cases produced. (Exceptional) Pops aromatically with complex notes of charcuterie, burnt embers, mineral, tar, crushed rock, smoke, and a kiss of citrus. It’s layered and intense with great depth of flavors – a hedonist’s delight on the upper reaches of the quality scale. 100% Syrah. 14.8% alcohol. 305 cases produced. (Exceptional) This is an aromatically vibrant, wildly expressive wine with notes of smoke, ash, embers, olive, mineral, mushroom, and umami. It explodes with mineral and savory notes that lead to a near endless finish. A very special wine at the absolute upper reaches of quality. May have the longest life ahead of it of any of the 2010s. 100% Syrah. 14.7% alcohol. 316 cases produced. (Exceptional) This is a brooding wine that displays outrageous minerality, smoke, dried herbs, olive, peat, earth, and smoked meat. It shows a dazzling display of richness, depth and intensity of flavors and an almost tangible sense of energy. 100% Syrah. 14.8% alcohol. 360 cases produced. (Exceptional) A distinctive wine with notes of dried herbs, crushed stone, smoke, blood, iron, meat, and tapenade along with a floral accent. It’s silky soft in feel showing great depth, intensity, and persistence with an extended finish that goes on as long as you care to count. 100% Syrah. 488 cases produced. (Exceptional) This wine pops aromatically with notes of tropical fruit, exotic spices, citrus, and red fruit. It’s intensely rich and flavorful displaying more tannic heft than in a number of previous vintages. 100% Tempranillo. 165 cases produced. These three releases from Abeja – one each from 2011, 2012, and 2013 – display the distinct differences from these three years with the 2011 Cabernet Sauvignon displaying the vintage’s elegance, the 2012 Estate Syrah this year’s power and intensity, and the 2013 Estate Viognier the warmth of the year. (Good) This is a richly aromatic wine with notes of peach, sliced pear, and fresh flowers. The palate is medium-plus bodied, lightly creamy in feel with a warm finish. 100% Viognier. Mill Creek Vineyard. Aged 4.5 months in neutral French oak. 14.5% alcohol. 148 cases produced. Sample provided by winery. (Excellent/Exceptional) This is an aromatically appealing wine with floral notes along with an assortment of berries, char, coffee, and smoked meat. The palate is medium-plus bodied with palate coating fruit and savory flavors and bitters on the finish. Still has some edges sticking out. Give an additional six to twelve months. 97% Syrah, 3% Viognier. Mill Creek Vineyard. Aged 14.5 months in French oak (35% new). 14.7% alcohol. 182 cases produced. Sample provided by winery. (Excellent) This is a moderately aromatic, appealing wine with notes of fresh brewed coffee, buttery barrel spices, vanilla, fresh herbs, cocoa, and cherry. The palate is medium bodied with abundant coffee notes, silky smooth cherry and herb flavors, and a vanilla filled finish. A pretty wine with the oak playing a significant part in the show. 85% Cabernet Sauvignon, 14% Merlot, and 1% Petit Verdot. Heather Hill, Bacchus, Dionysus, Weinbau, and Kiona Heart of the Hill vineyards. Aged 22 months in French oak (60% new). 14.5% alcohol. 1,740 cases produced. Sample provided by winery. While the 2011 vintage was challenging for many, the releases from Woodward Canyon show the winery in full stride. This is where all those decades of grapegrowing and winemaking experience come into play. In a very high quality lineup, the 2011 Merlot in particular is a testament to how well this variety can grow in the state. Meanwhile the 2012 Celilo Vineyard Chardonnay is a high note for the variety and for the region. 92 points. This single vineyard wine shows both the warmth of the vintage and the coolness of this site, showing depth and richness to the fruit flavors while retaining good acidity. It brings notes of apple, peach and lees with light barrel accents—20% new French—and a creamy feel. Enjoy with shrimp stir fried in olive oil for a pairing nirvana. Wine Enthusiast, December 31st 2014. (Good) A blend of four different clones from the winery’s estate vineyard, this warm vintage wine shows abundant notes of pear along with pineapple, toast, and mint. The palate is full bodied with a creamy, rich feel. 100% Sauvignon Blanc. 14.1% alcohol. Sample provided by winery. (Exceptional) A moderately aromatic wine with toasty barrel spices, herbs, mocha, cherry liqueur, and red fruit. The palate is full bodied with concentrated, seamless red fruit flavors, well balanced tannins and a long, lingering finish. A classically Washington bottle of Merlot with all of the deliciousness that comes with it. 96% Merlot and 4% Cabernet Franc. Weinbau (96%) and Woodward Canyon Estate vineyards. Aged 19 months in French oak. 14.3% alcohol. 476 cases produced. Sample provided by winery. (Good/Excellent) A moderately aromatic wine with notes of toast, barrel spices, herbs, chocolate, and dark brewed coffee. The palate is rich and sumptuous, made in a hedonistic style supported by chalky tannins. Needs time to come into its own. Best after 2016. 76% Cabernet Sauvignon, 11% Merlot, 5% Cabernet Franc, 4% Petit Verdot, and 4% Syrah. Woodward Canyon Estate, Champoux, Spring Creek, Mirage, Discovery, Sagemoor, Andrews, Summit View, and Les Collines vineyards. 14.6% alcohol. 4,019 cases produced. Sample provided by winery. (Excellent/Exceptional) A moderately aromatic wine with notes of mortared herbs, cherry, and milk chocolate. The palate is opulent in style, surprisingly rich considering the coolness of the vintage with sweet coffee and chocolate flavors with the oak playing a prominent part in the show. 95% Cabernet Franc, 5% Petit Verdot. Woodward Canyon Estate Vineyard. 14.5% alcohol. 308 cases produced. Sample provided by winery. (Exceptional) An aromatic wine with abundant notes of dark roasted coffee, toast, cherry, barrel notes, and bittersweet chocolate. The palate is rich and opulent, made in a hedonistic style, drinking like a candy bar with rich, concentrated coffee, cherry, and chocolate flavors. 90% Cabernet Sauvignon, 5% Petit Verdot, and 5% Syrah. Champoux (46%), Sagemoor (40%), and Woodward Canyon Estate vineyards. 14.4% alcohol. 433 cases produced. Sample provided by winery. I first wrote about Delmas back in 2012. For this winery, proprietors Steve and Mary Robertson source fruit from their SJR vineyard in The Rocks District of the Walla Walla Valley, with Billo Naravane (Rasa Vineyards, PB) making the wine. The 2012 Delmas Syrah is a breakout wine for the winery, a wine of extremely high quality that is almost completely irresistible (it came in sixth in my Seattle Metropolitan Top 100 Washington wines list this year) but at a mere 75 case production is tough to get one’s hands on. This is one mailing list well worth considering. (Exceptional) A new benchmark for this winery that shows more fruit than is often seen on Rocks wines. It brings complex notes of huckleberry, plum, smoke, chocolate, flowers, and orange peel. The palate is rich with exquisite, seamless blue fruit flavors with smoked meat accents showing a vibrant texture that leads to a hyperextended finish. A very pretty, very precise, and shamelessly appealing offering of Rocks fruit. 92.5% Syrah, 7.5% Viognier. Aged in French oak (50% new). 14% alcohol. 75 cases produced. Sample provided by winery. Maison Bleue has had a number of changes take place since I last wrote about the winery. 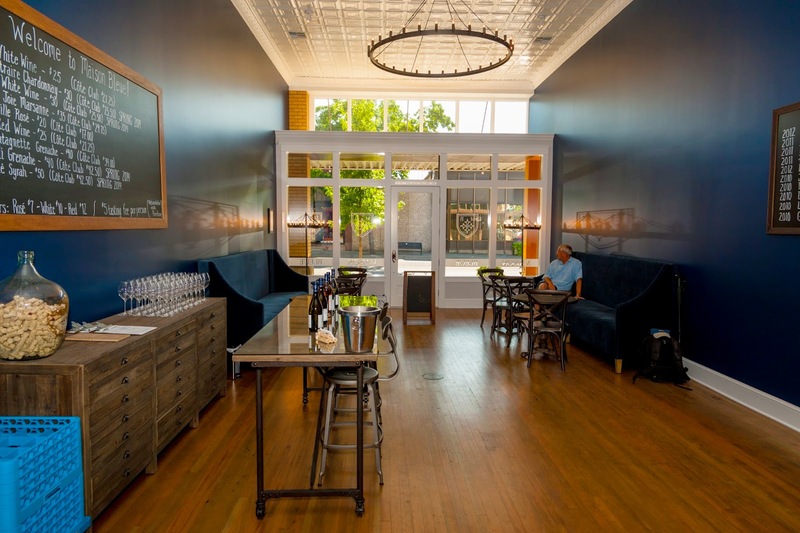 Of note, the winery now has a tasting room in downtown Walla Walla where proprietor Jon Meuret has moved with his family. Production, for the time being, still takes place in Prosser. The winery is also now sourcing fruit from a variety of Walla Walla Valley locations. Look for a detailed update on other goings on at Maison Bleue in the spring of 2015. (Exceptional) This is a moderately aromatic, brooding wine with notes of dark plum, kirsch, pomegranate, ash, herbs, citrus peel, and peppery spices. The palate is silky and supple in feel while retaining density and richness of flavor. 100% Syrah. Approximately 25% whole cluster. Aged 13 months in 450L puncheons (20% new). 14.1% alcohol. 250 cases produced. Sample provided by winery. (Exceptional) Light in color, it’s an aromatic dazzler with a complex array of pomegranate, plum, dried herbs, white pepper, huckleberry, and orange peel. The palate is deft in style with exquisite concentration and texture with a fruit-filled finish that lingers effortlessly. A classic wine that is among the finest examples of the variety I have had from the state. 100% Grenache. 50% whole cluster. Aged 13 months in four to five year old French oak. 14.5% alcohol. 320 cases produced. Sample provided by winery. All images by Richard Duval. Note: This post was updated after publication to reflect that: 1) the 'Winestate Wine Buying Guide' originally referenced with regards to the 1978 Leonetti Cabernet Sauvignon was actually called the 'Winestate Wine & Spirits Buying Guide' and 2) this was the prior name for what is now Wine & Spirits Magazine.